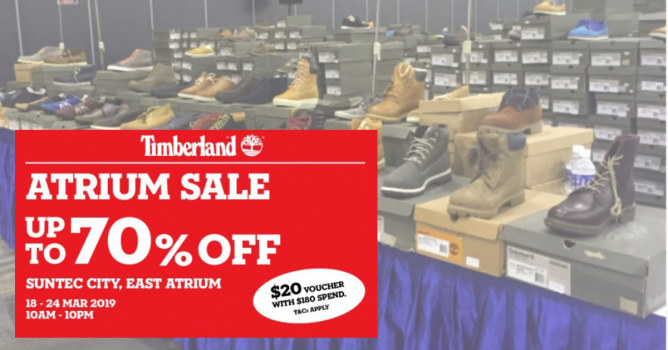 Home > Fashion > Suntec City: Timberland Atrium Sale with Up to 70% OFF Footwear, Apparel & Accessories! 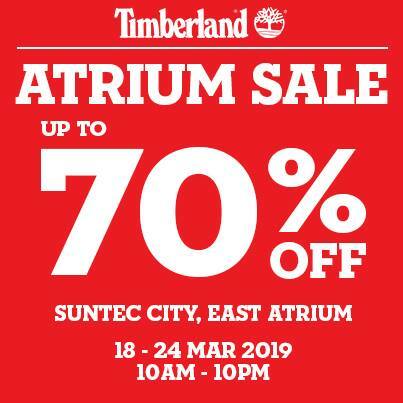 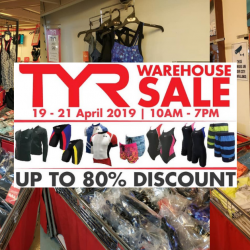 18 - 24 Mar 2019 Suntec City: Timberland Atrium Sale with Up to 70% OFF Footwear, Apparel & Accessories! 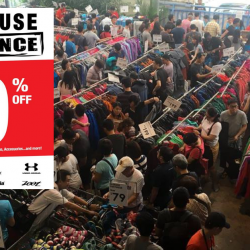 Enjoy up to 70% OFF on footwear, apparel and accessories at the Timberland Suntec Roadshow! 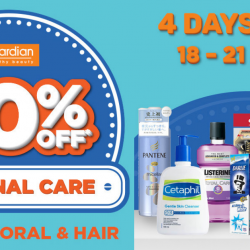 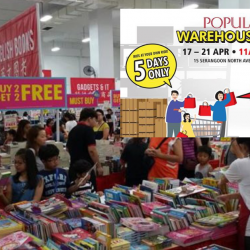 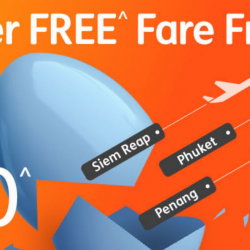 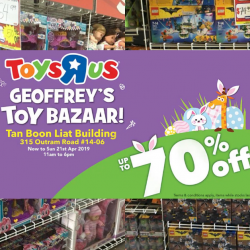 Receive $20 voucher with minimum spending of $180. 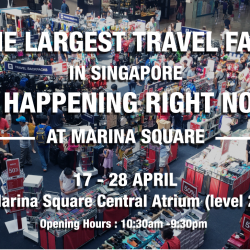 Sale is available at the East Atrium from 18-24 March.